Across the Americas, authoritarian leaders are jailing opponents, firing key investigators, and displacing indigenous communities in efforts to consolidate power. The political turmoil has led to critical challenges for the 35-nation Organization of American States, the world’s oldest regional governmental alliance. Venezuela recently announced its withdrawal from the OAS; a member state has not willingly left the organization since its founding in 1948. In March, the Trump Administration boycotted hearings in Washington, D.C., before the Inter-American Commission on Human Rights. This marked the first time the U.S. government failed to participate in a hearing called by the Commission. 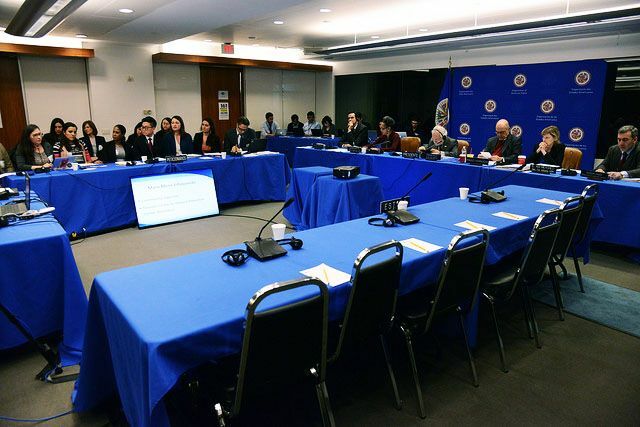 If member states turn away from the OAS, this will seriously debilitate its vital human rights institutions: the Inter-American Commission and the Inter-American Court of Human Rights. For decades the Commission and Court have saved lives, secured redress for victims of rights violations, bolstered the rule of law, and provided crucial opposition to despotic regimes in the hemisphere. Through the 1980s, the Commission shined a spotlight on the widespread abuses of Latin American dictatorships. Subsequently, during the region’s transition to democracy, the Commission and the Court confronted the dark legacy of these regimes. By striking down amnesty laws and urging investigations, both institutions fostered accountability for serious rights violations. Currently, the Inter-American Human Rights System has sharpened its focus on the marginalized of the Americas: indigenous communities, victims of gender violence, and many others who suffer discrimination. “Inter-American Commision on Human Rights” by Daniel Cim. CC-BY-2.0 via Flickr. As a result of their bold rulings, the Court and the Commission have often strengthened the protections of the American Convention on Human Rights, the hemisphere’s main rights treaty. They have also developed a creative jurisprudence that has become influential beyond Latin America – inspiring the major human rights institutions of the United Nations, Europe, and Africa. The Court and the Commission are far from perfect, of course, and their decisions can disappoint for a variety of reasons. Still, in our era darkened by rampant nationalism, violence, and discrimination, these rights monitors are needed now as much as ever before. Throughout the Americas, we must demand that our governments recommit to the OAS institutions and their principles of democracy and rule of law. Whenever our political leaders deviate from these fundamental norms, we will need the support of our steadfast allies, the Commission and the Court, to oppose authoritarians and redress victims of rights abuse. Featured image credit: “Secretary Kerry Delivers Remarks on U.S. Policy in the Western Hemisphere” by State Department. CC0 public domain by Wikimedia Commons. 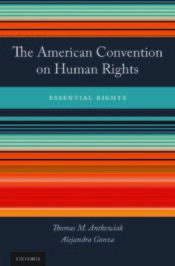 Thomas Antkowiak is a law professor at Seattle University School of Law and the co-author of The American Convention on Human Rights: Essential Rights (OUP 2017). Many of his scholarly articles on the Inter-American Human Rights System are also available.